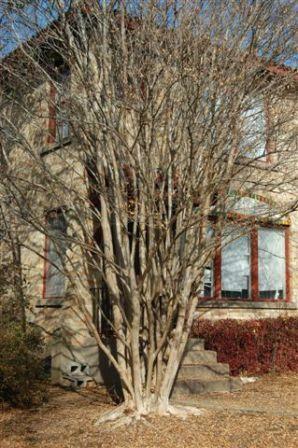 Crape myrtle too deep in the ground. Another buried crape myrtle. Flower bed is also a problem. 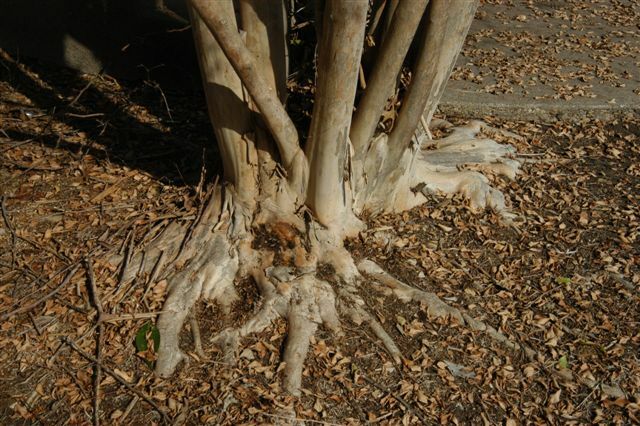 Most crape myrtles are planted too deep in the ground with the flares covered. Here’s one that’s exposed properly.